Lifting lighter weights for more reps is great for building muscle endurance, but if you want to increase your strength, increasing your weight load is key. Lifting heavy weights can be done at La Renarde. Despite the high temperatures (up to 27 °C) and the northern wind (often seen as bad for fishing), Oliver had a great weeks fishing at La Renarde. 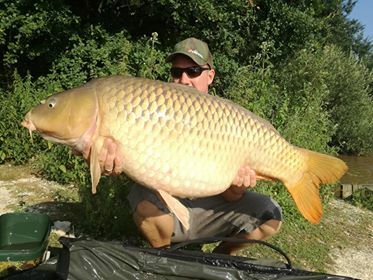 Apparently he used the perfect tactics to catch several 20kg+ carp. The MTC Super Tuna Boilies and tiger nuts seemed to be irresistible. He used very simple rigs and placed them off carefully with his baitboat.